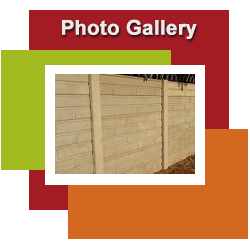 ALFA Concrete Walls Pretoria is manufacturersand erectors of precast concrete walling, Brickcrete, Stonefence, Woodcrete bi-sided walling and heavy duty concrete palisade fencing. We generally install our precast concrete walls in Pretoria, Centurion, Midrand, Sandton, Randburg, Roodepoort and Krugersdorp Gauteng but are also suppliers to the surrounding areas of Mpumalanga, Limpopo and North West. ALFA have been in operation for more than 35 years and as such is an old and very well-established precast concrete industry manufacturer. We specialise in the supplying and erecting of quality made precast concrete walling, bi-sided precast concrete walling and security palisade fence products. Choosing to rather install a precast concrete wall or fence is a very practical and wise decision to make. For one it is significantly less costly than just about every other walling or fencing option on the market. When compared to a brick or block wall the installed cost of a precast wall or fence is typically less than half the price. Installing a precast concrete wall is quick and clean. It is ideal for many applications and with the wide range of print choices or a bit of ingenuity can look as good as any other type of wall or fence. In the South African context another major advantage of concrete walling and palisade fencing is that the products are very heavy and has just about no scrap value. These walls and fences therefore normally remain where initially erected. ALFA manufactures a range of high quality walling and fencing products. We are probably best known for our Precast Concrete Walling but also manufacture precast concrete bi sided walling and heavy duty Concrete Palisade Fencing product. Our concrete products provide exceptional value, strength and versatility. ALFA's products are ideally suited to our hoarse environment and heightened security needs. We have an extensive range of precast concrete wall designs. You are sure to find a product that is to your taste and that has the ability to increase your security, safety and privacy. Another advantage is the range of decorative patterns which allows the client to mix and match to achieve the look they want. Our pre-cast walling is also known as Vibracrete walls, concrete walls, stop-nonsense or concrete fencing. In addition we supply and install a few other brand names such as Brick-Crete, Stone-Crete and Wood-Crete. Our heavy duty concrete palisade fencing typically find their way to applications such as enclosing industrial premises, schools, reservoirs and many other security applications such as enclosing national roads and railway lines. If you are serious about protecting your property then our heavy duty concrete palisade fencing is the answer. We do not manufacture a light duty product like some of the other suppliers. Our palisade walling system is strong and robustness. Each pale is bolted to the top and bottom rail and the rails slide into the posts. This also makes the wall more flexible and ideal for use in heaving ground areas. On all our walling and fencing products we can provide additional security features. This could include installing razor coil or ripper flatwrap wire, devil's fork or spikes at time of wall or fence installation. On precast walls we can install one of the concrete slabs of panels below ground and on concrete palisade fencing we can cast a dig-under prevention column or plinth. Installing an electric fence on top of the wall or behind it is also very popular and increases the level of security provided significantly. 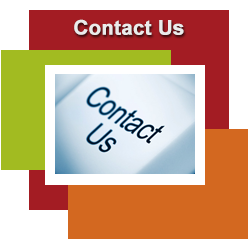 Should you wish any of the additional features to be added on your concrete wall or fence, please do inform us when you request a quotation for the works to be done. ALFA also produces special concrete panels in various patterns for raising the height of existing precast concrete walls. These height increasing slabs are generally referred to wall extensions or extend a wall. Increasing the height of a precast concrete wall with a suitable foundation can greatly increase security on the premises and you privacy. There is a saying that good fences make for good neighbours. In our day and age the saying should maybe be high enough walls ensure lasting neighbour relations. ALFA Concrete Walls is the leading company in its field... we pay attention to detail and provide superior quality work, our many years of experience your assurance. With great precast walls prices. Erection of new precast (vibracrete) walls and concrete palisade fencing; Precast wall extensions or height increases; The addition of security features such as spikes or razor wire to new walls; The installation of access gates with new concrete walls and fences; The removal of old walls and fences and their replacement with new concrete walls. We take pride in what we do and the impression we and our products create. For that reason we remove all installation rubble on a daily basis. 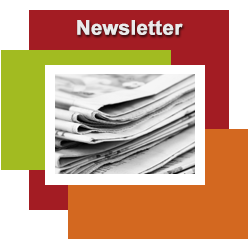 You are invited to explore the rest of our website and please feel free to contact us with any questions.